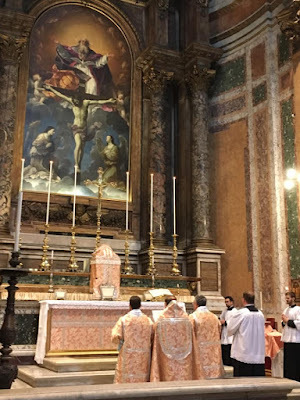 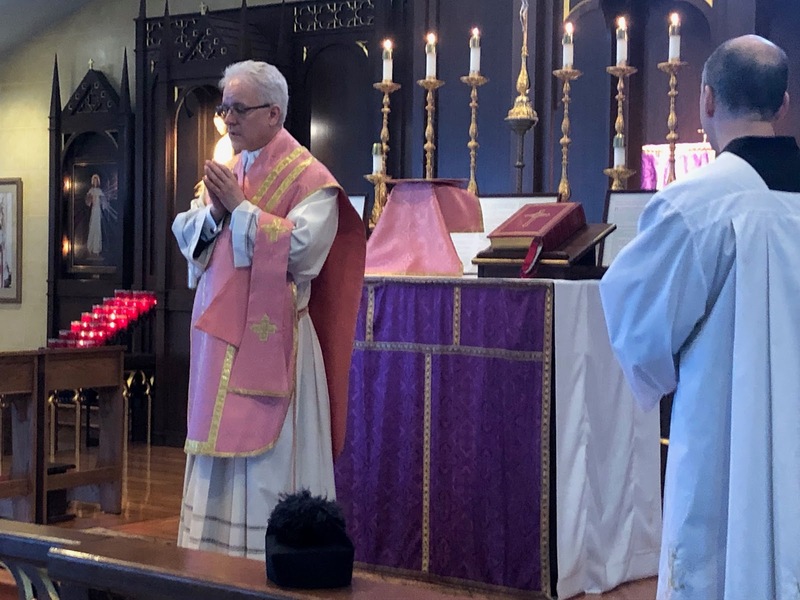 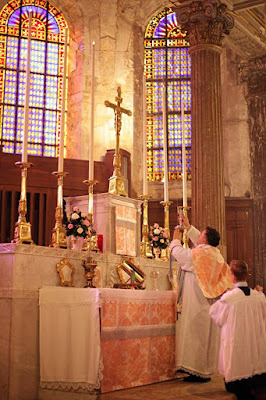 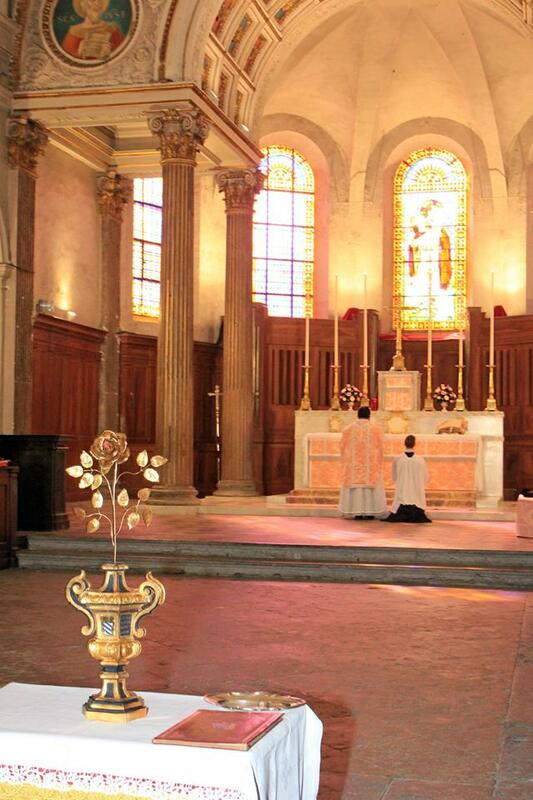 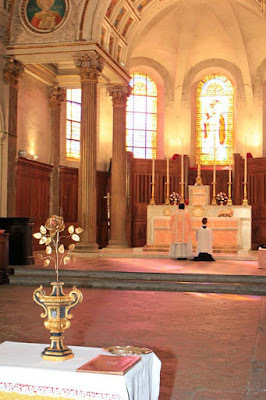 Our first Laetare photopost of this year begins with something quite special from the Fraternity of St Peter’s apostolate in Lyon, based in the collegiate church of St Just. 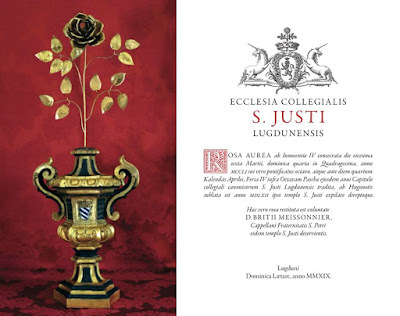 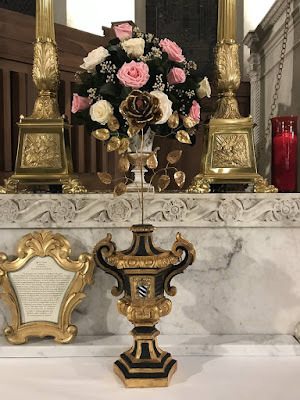 In the year 1251, the church received a golden rose from Pope Innocent IV, an ornament which is traditional blessed on Laetare Sunday, when rose-colored vestments are worn, and given by the Popes as a mark of esteem or devotion. 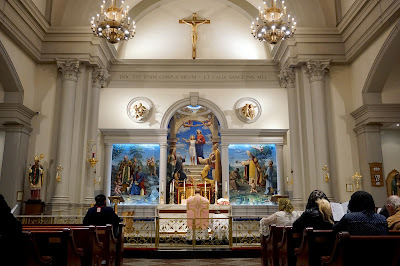 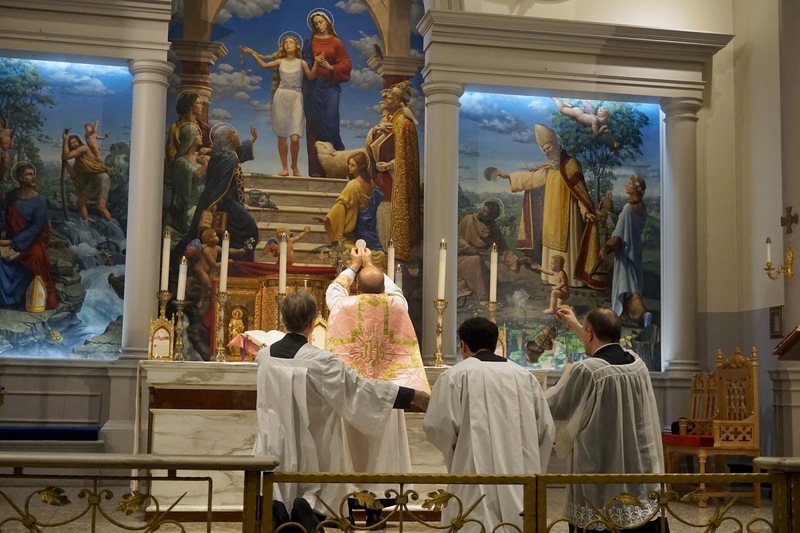 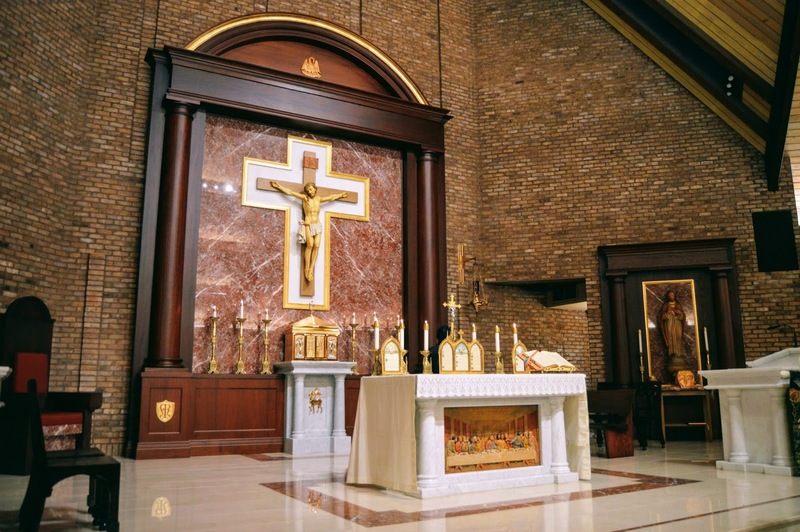 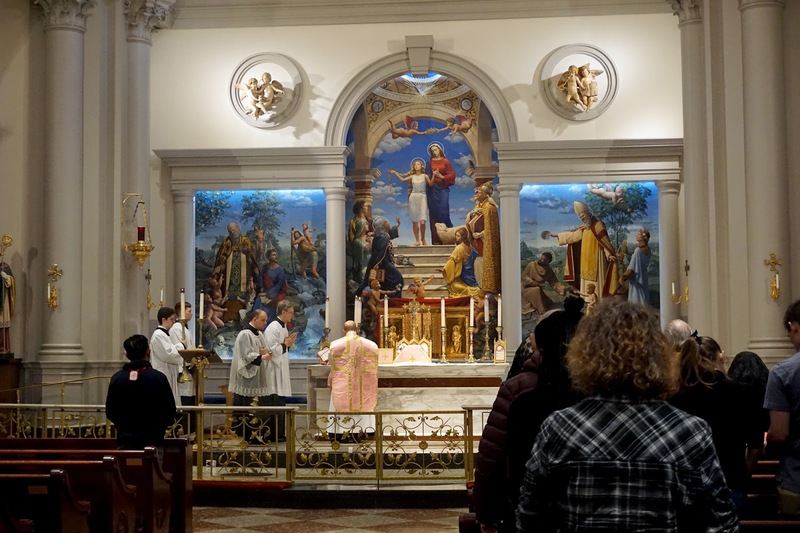 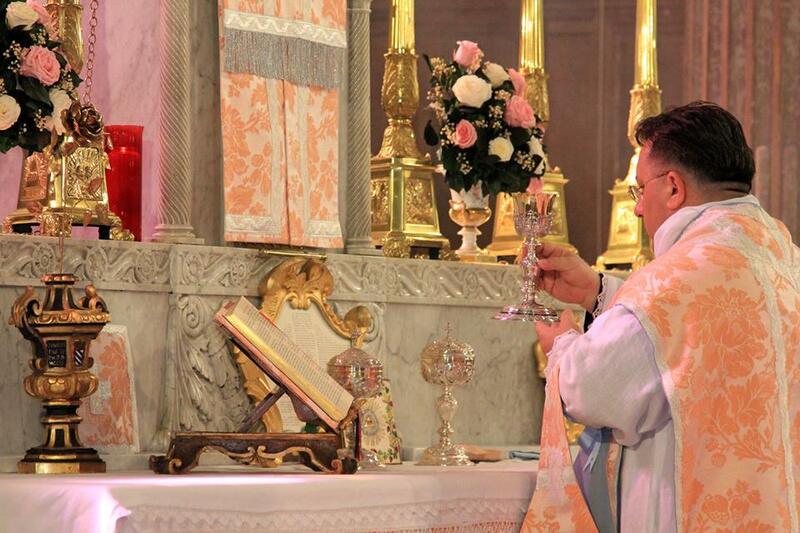 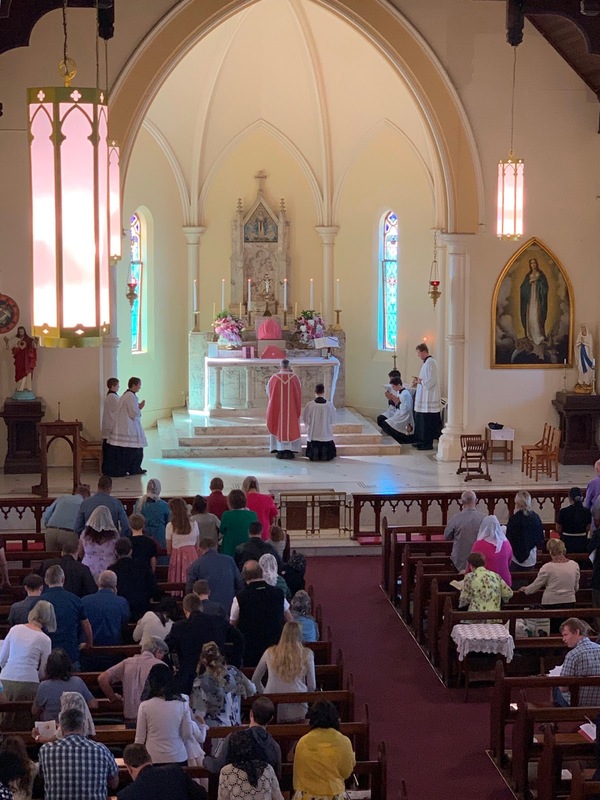 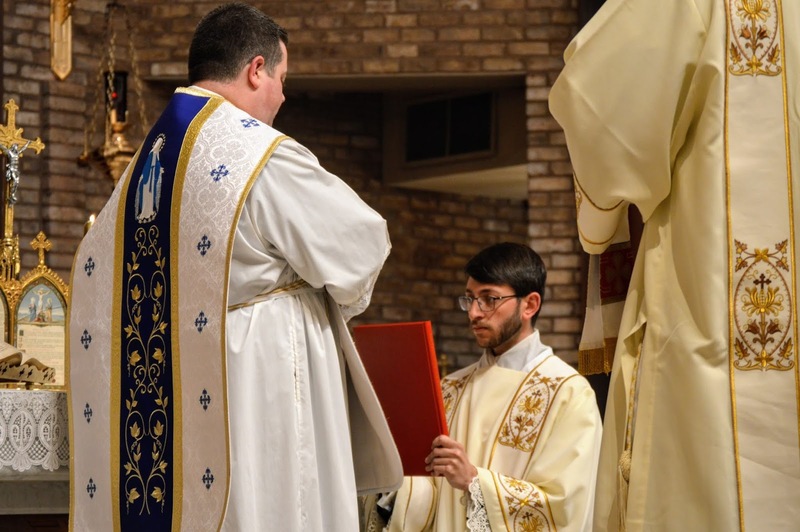 The church’s rose was recently restored, and newly blessed this past Sunday. 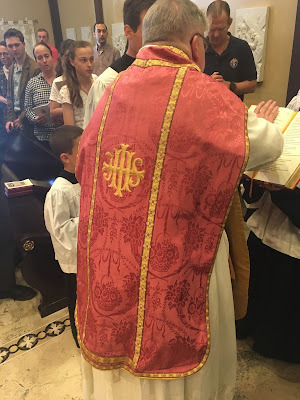 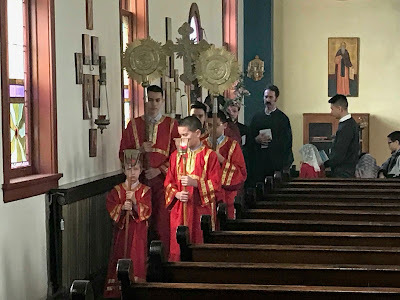 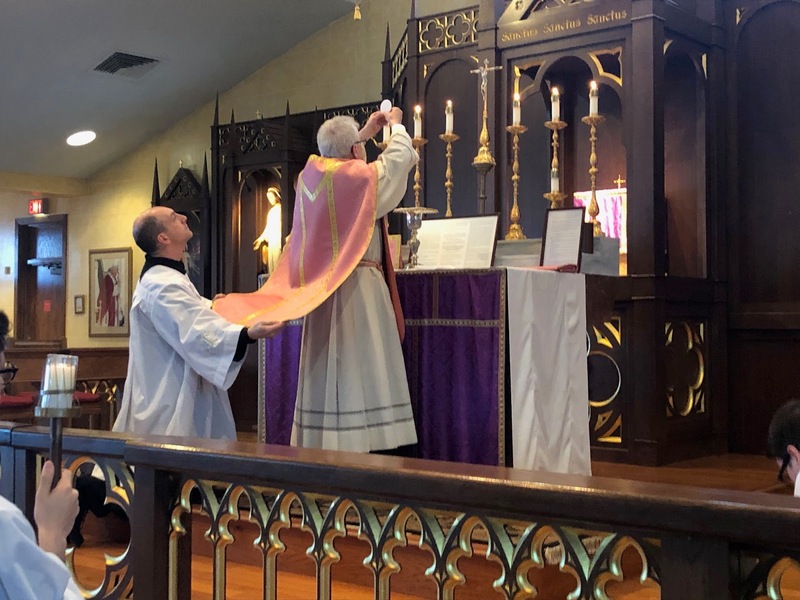 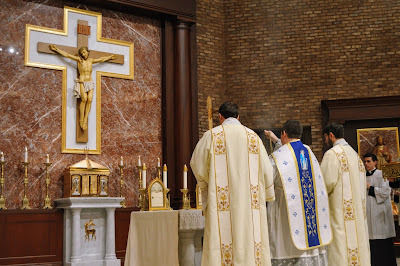 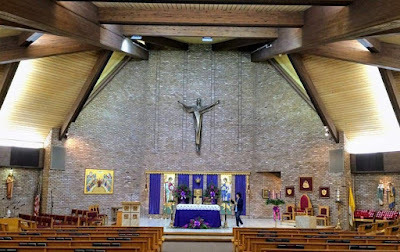 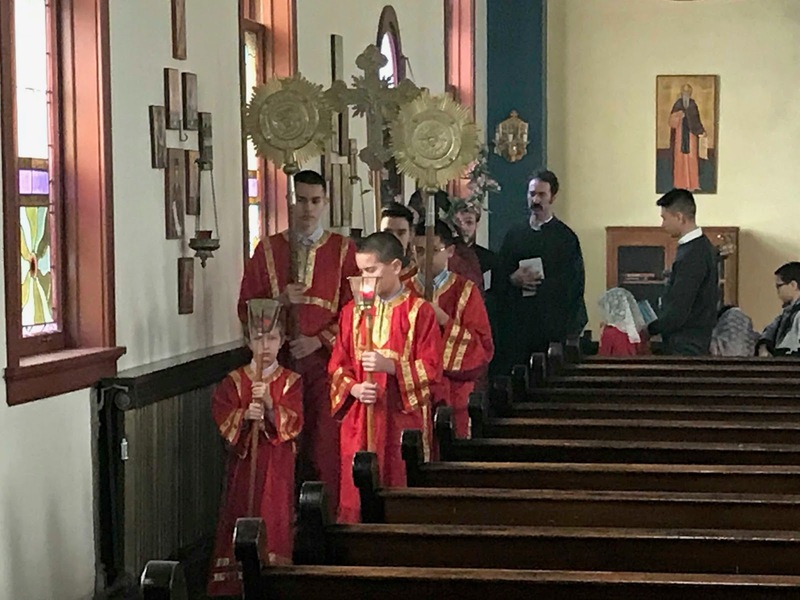 As is customary, we join to this post images of the recent feasts of St Joseph and the Annunciation, and the Veneration of the Cross in the Byzantine Rite. 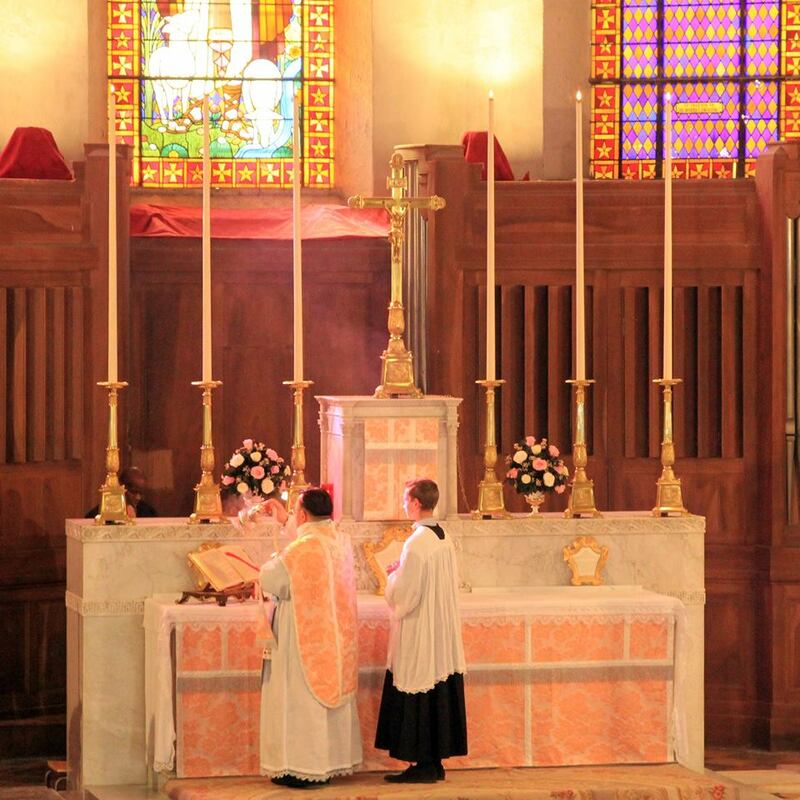 Our thanks, as always, to everyone who sent these in, continuing the good work of evangelizing through beauty. The newly blessed rose placed on the altar. 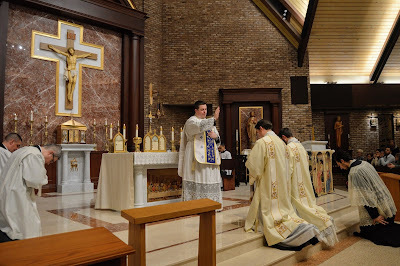 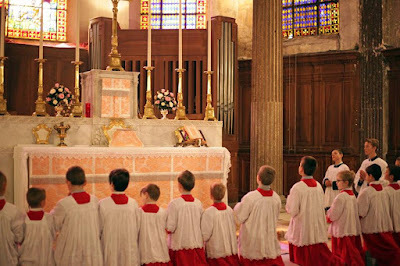 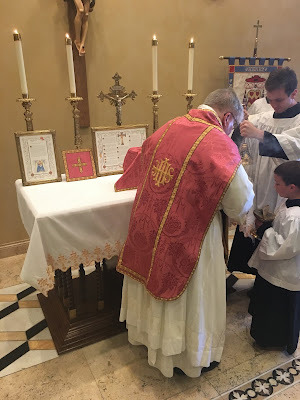 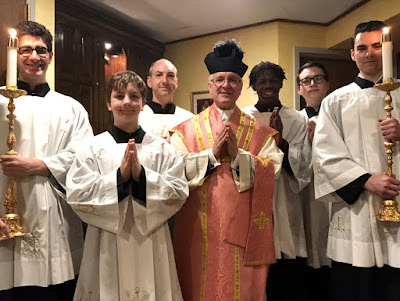 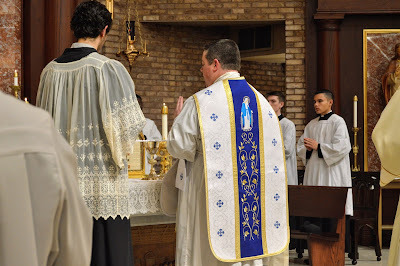 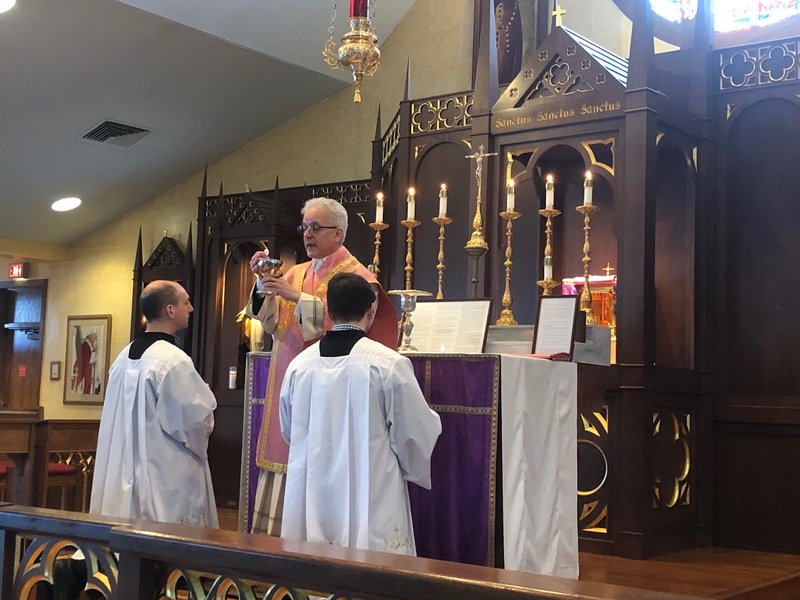 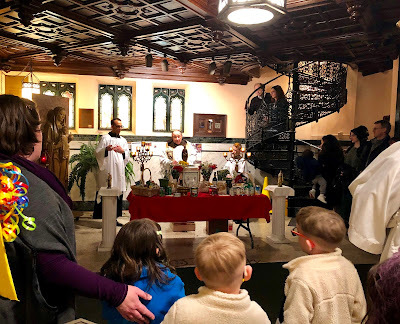 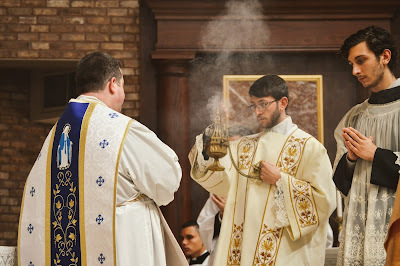 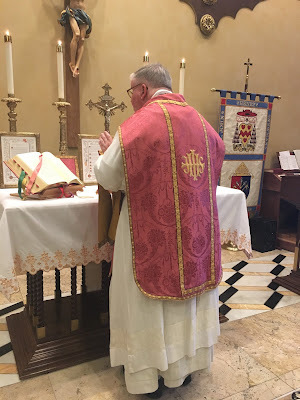 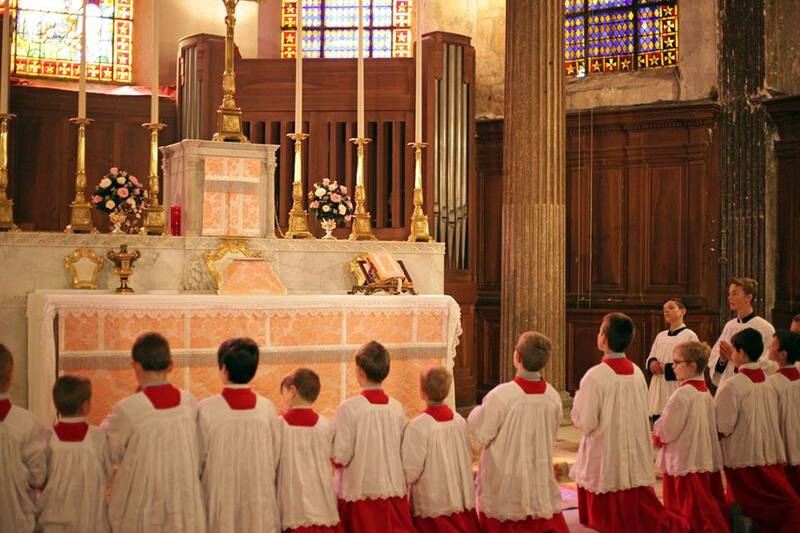 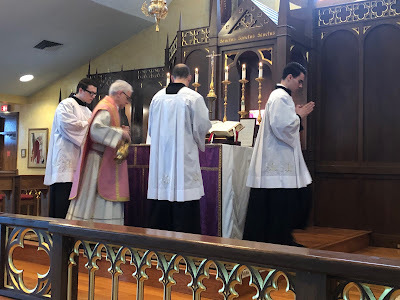 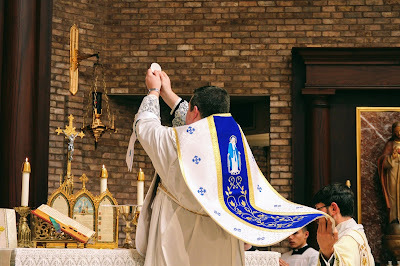 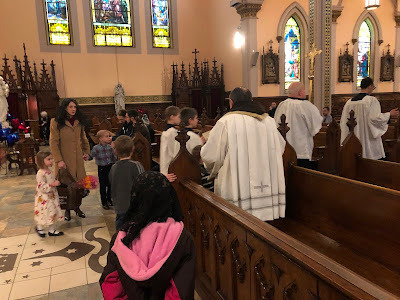 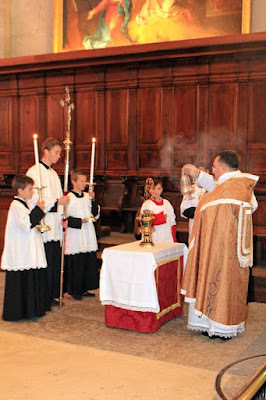 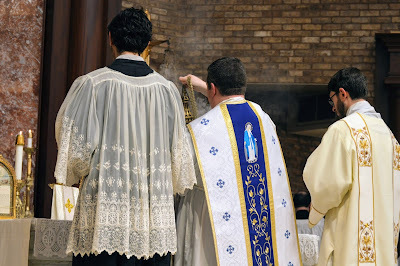 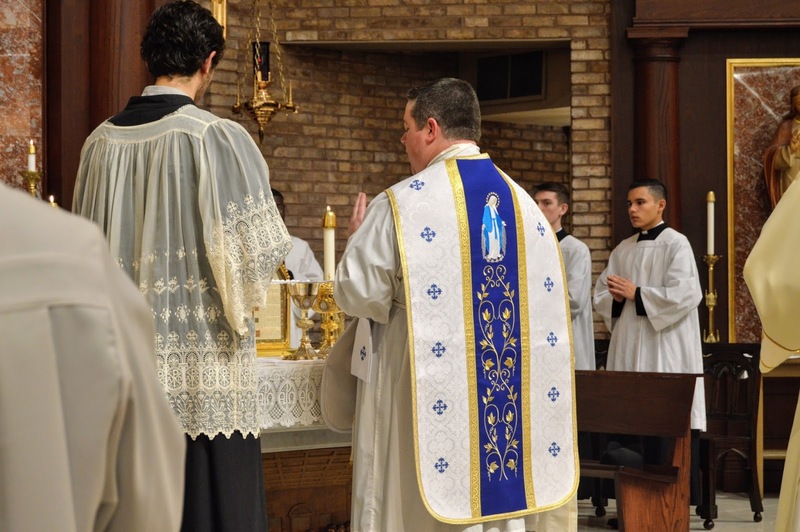 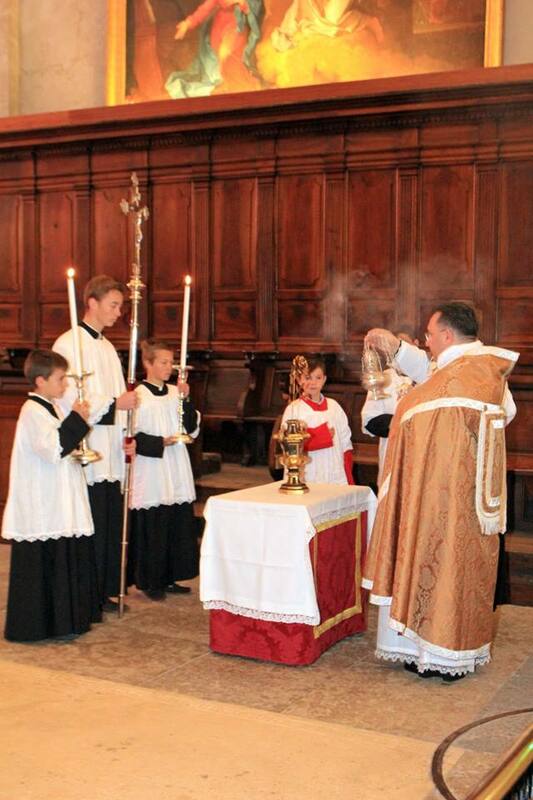 Prayers of thanksgiving after Mass - tradition is for the young! 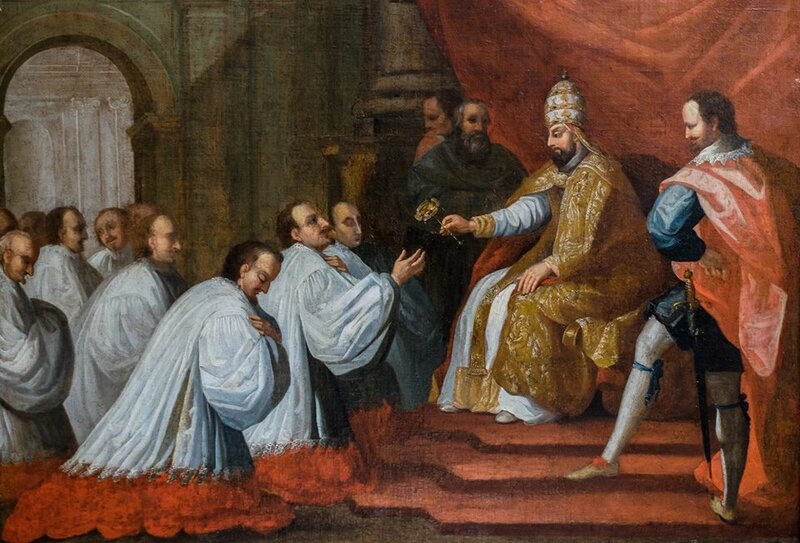 A painting of the consigning of the golden rose by Pope Innocent IV. 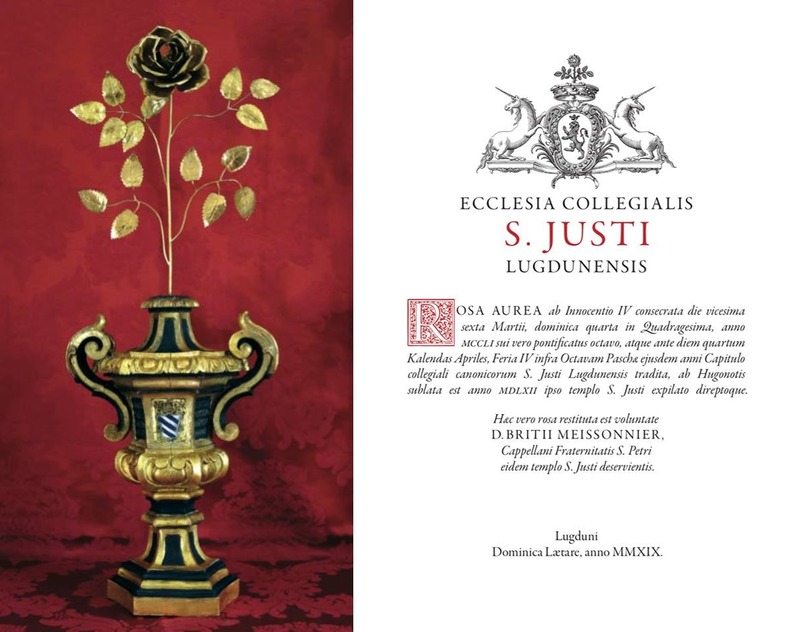 A card made to commemorate the occasion. 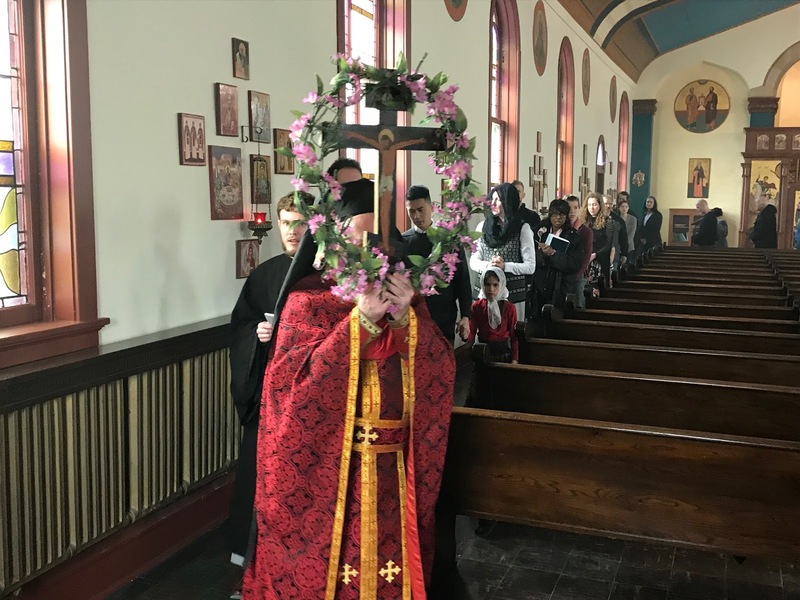 Procession on the Third Sunday of Lent, on which the Byzantine Rite celebrates the Veneration of the Holy and Life-Giving Cross. The sanctuary as it used to be. Mass and blessing of St Joseph’s table on the patronal feast day.